Do you love to read and discuss books in a group? If yes, then here you will get some best books for book clubs. Some books are related to our life in which you will know how to become happy and how to achieve your target. In addition, some struggling stories of people will realize you that how one person can survive in all opposite conditions for his life. Writers often see things around them, and they assume stories related to those things. Some stories are inspired from real life and authors describe their own experience in their novels. These books are very interesting and inspiring for our life. Here we are offering you some small descriptions on each book, and it will help you in knowing something more about these books. It is a novel written by John Green. It is a very expressive novel, in which the writer has mentioned many important aspects like life, death and love. This book is prepared by considering the whole aspects of our life in which love, sorrow are blended in the same way. The author has shown perfect emotions with every situation. This book is based on Hazel’s story, which is a cancer patient and suffering from terminal cancer. In this book, you will read how she struggles for her life and how she meets with her love. This book is available online for purchase. Try it, if you want to feel the real emotions of life. Checkout a detailed editorial review of The Fault In Our Stars. It is another story in which will show you're some amazing conditions of friendship and another chance. This is a story related to foster home in which Indian Molly Ayer meets with Vivian. She thinks that she and Vivian are not too different, they have many similarities. In this novel, Vivian is an Irish forlorn of NY City. Vivian was traveling in a train with many other kids, who are now dependent on their fortune for their future. The Molly finds that she can support Vivian for discovering solutions of her life’s mysteries. This story is fully focused on these two people’s life, and writer has illustrated the whole pictures of their life in great form in this novel. Have you ever imagine that how the heaven is and what you will get there? Off-course sometimes we think about this topic and sometimes not. When you read “heaven is for real," you will get the great imagination about the heaven and its different aspects. This book will also force those people, who do not believe on heaven and hell, to think about these two afterlife states. In this book, you will read how a little boy magically survives from the deadly disease and explains his family about his trip to heaven. Author has displayed the whole view of heaven in his words, which will entertain you so much. It is another thrilling novel, which is based on World War II. An aircraft was crashed in 1943 in Pacific Ocean. In it, the lieutenant was survived, and he has struggled for his life. He was a young bombardier of that aircraft. This book is based on that young lieutenant’s struggle for saving his own life. The author has displayed the whole phenomenon in very exciting way, and you will not stop yourself from reading this full novel. The whole story runs around Louis Zamperini, and this story shows his will to be alive. Book is available online for purchase with cost effective rates. This novel is among the most sold stories of the world. It is an amazing story of Santiago. In this story writer has shown the life of Andalusian shepherd boy that love to visit different places for exploring sophisticated treasure, which is never explored by anyone else. It is also another store through which you can learn many things about your life and real treasure that boy gets in the story. The shepherd boy only listens to his heart and sees success in his discovery. The main intention of the writer was to suggest readers for watching dreams and chasing those dreams. This book directs you towards the path of living life in the enthusiastic way. When people become able to understand about their needs, how world seem to them is shown in this book. You can improve the quality of your book collection by including this book in your best book group books. Every day when we walk out from our house, we see many new things, new trends of society and we have to deal with them. This story is dependent upon all such aspects of life. Being quiet and listening more is a good practice. There are many people in this world, who keep such nature. It can be good sometimes, but not always. The book Quiet explores surroundings of such people, who don’t like to speak. The author has tried to expose some significant things a person can lose because of his less speaking habit. Try this book, it is amazing and very engaging book to read. This book has become an incredible part of 20th century’s books. This book is based on the story of a fireman, who works to obliterate every illegal thing. The fireman also works to explore locations of hidden books, and then he destroys them for wellness of society. The attendant, who works to destroy the books, suddenly meets to his neighbor, which explains him about the incredible world of books and changes his life. You will also get an amazing view on books through this novel, and it will help you in reducing addiction of electronic media. 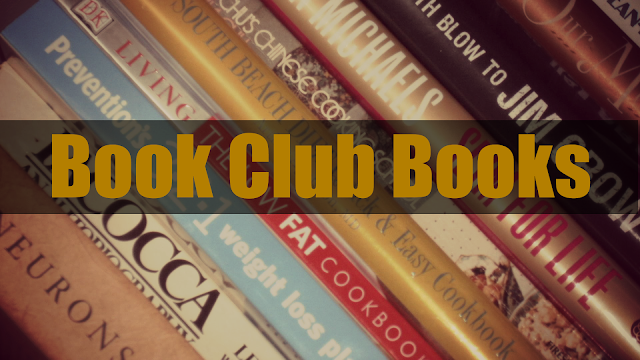 When you look for best book club books, you should choose books that can help someone in his life. The books should be encouraging and full of knowledge. In the bellow given 8 books, you will get some very amazing stories with some simple facts of living life. These books are available to buy online, and it will be in your hands at very fair rates. If you want to check people’s view on these books, reviews are available on the internet to ensure you about the quality of these books.